Intense arcade experience in small doses! Infektor is a fast-paced arcade game that will push your skills to the limit! 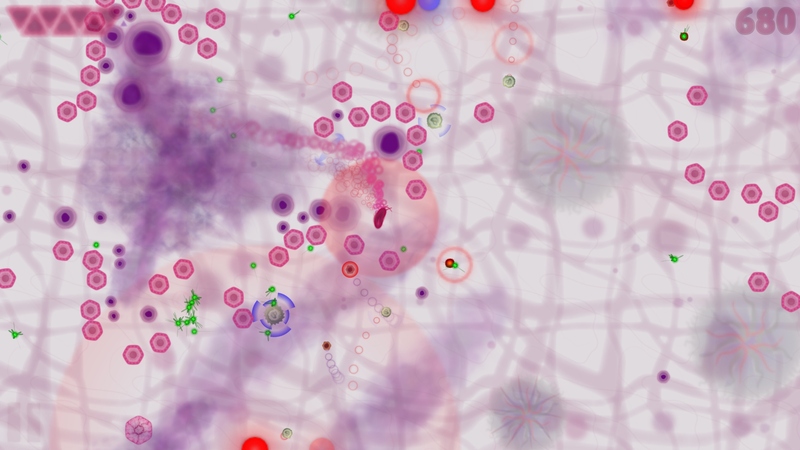 Survive as long as possible in the Survival mode or spread infection in Infect mode. 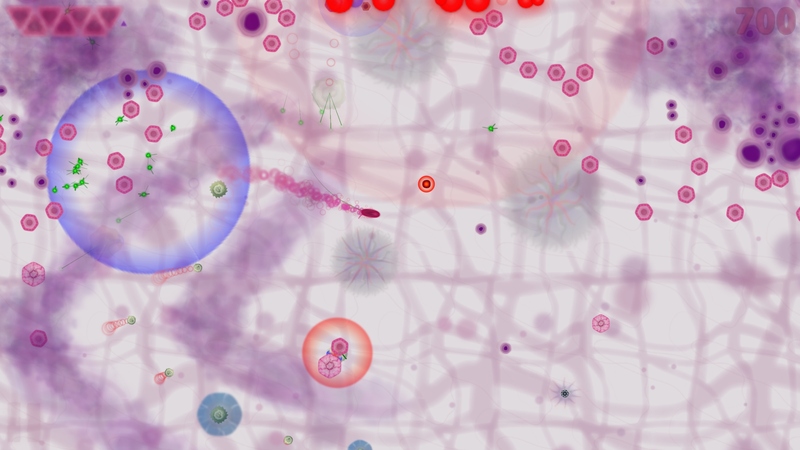 Use the environment to your advantage and avoid antibodies while wreaking havoc. 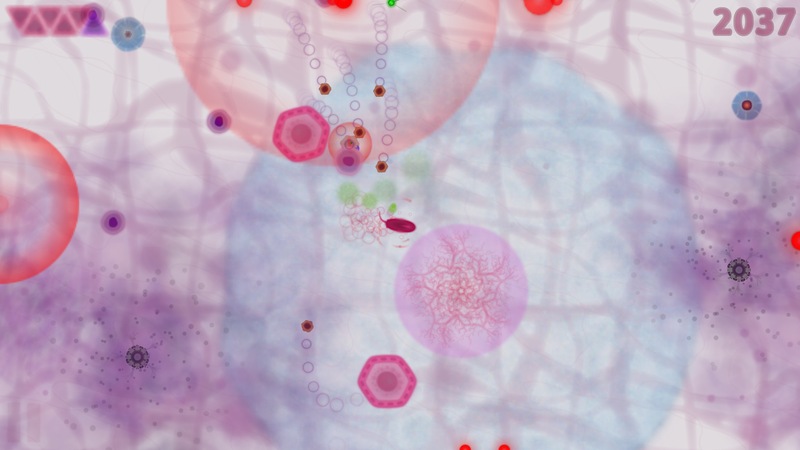 Choose between three different microbes to try different gameplay styles. 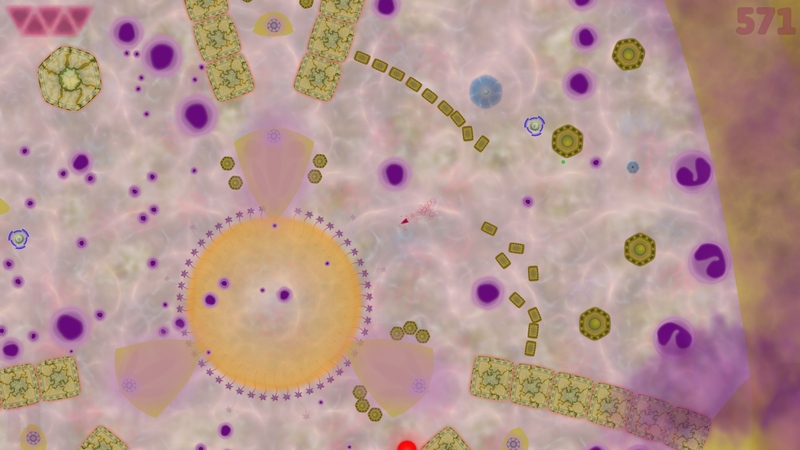 Collect plasma drops from remains of your pursuers and exchange it for mutagens that enhance your microbe's abilities. Infektor is a fast-paced arcade action game that offers intense gaming experience in small doses. Take control of a microbe and wreck havoc while avoiding your pursuers and collecting plasma drops from their remains. Use this plasma to unlock Survival levels and exchange it for mutagens that boost your microbe's abilities. The core of the gameplay is evading your pursuers and racking up the highest score possible. But to get a really good score, you need to use all the reflexes you got and take some risks. Making good use of unique special abilities of each of the three microbes you can control is essential for success. Running rampage and breaking everything in sight is a good way to keep your score counter going. 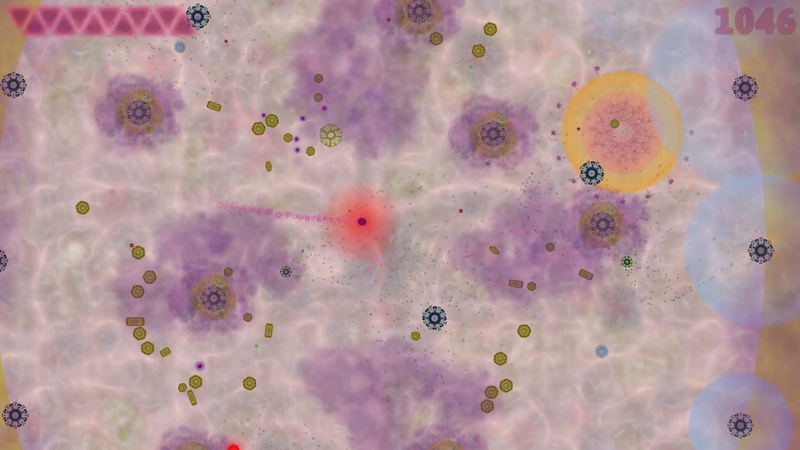 You also get points for risky behaviour like close fly-by's, avoiding enemy bursts or popping bubbles that spawn antibodies. There might also be some tasty targets to infect as well, but they will usually be placed in rather dangerous neighbourhood. Infektor is available for download from Steam for PC & macOS and from Apple AppStore for macOS & iOS.